As appellate lawyers, we provide consistency, coherence, candor and clarity to the litigation strategy pursued by the firm. Susan Alexander is a partner in Robbins Geller Rudman & Dowd LLP’s San Francisco office. 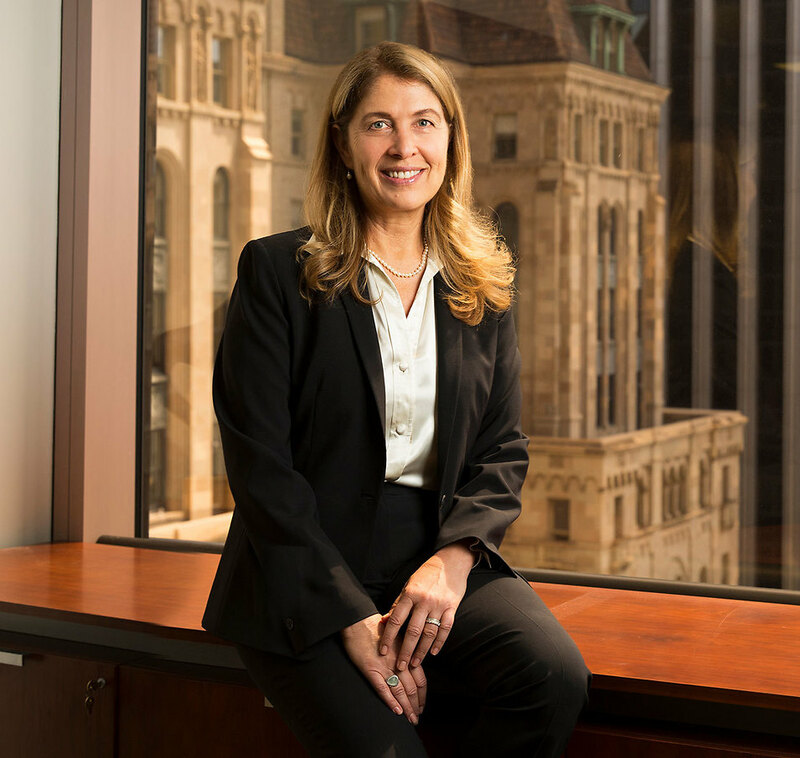 Her practice specializes in federal appeals of securities fraud class actions on behalf of investors. Among her most notable cases are In re VeriFone Holdings, Inc. Sec. Litig. ($95 million recovery) and the successful appellate ruling in Alaska Elec. Pension Fund v. Flowserve Corp. ($55 million recovery). Other representative results include: W. Va. Pipe Trades Health & Welfare Fund v. Medtronic, Inc., 845 F.3d 384 (8th Cir. 2016) (reversing summary judgment of securities fraud action on statute of limitations grounds); In re Ubiquiti Networks, Inc. Sec. Litig., 2016 U.S. App. LEXIS 19141 (9th Cir. 2016) (reversing dismissal of §11 claim); Carpenters Pension Trust Fund of St. Louis v. Barclays PLC, 750 F.3d 227 (2d Cir. 2014) (reversing dismissal of securities fraud complaint, focused on loss causation); Panther Partners Inc. v. Ikanos Commc'ns, Inc., 681 F.3d 114 (2d Cir. 2012) (reversing dismissal of §11 claim); City of Pontiac Gen. Emps. Ret. Sys. v. MBIA, Inc., 637 F.3d 169 (2d Cir. 2011) (reversing dismissal of securities fraud complaint, focused on statute of limitations); In re Gilead Scis. Sec. Litig., 536 F.3d 1049 (9th Cir. 2008) (reversing dismissal of securities fraud complaint, focused on loss causation); Barrie v. Intervoice-Brite, Inc., 397 F.3d 249 (5th Cir.) (reversing dismissal of securities fraud complaint, focused on scienter), reh’g denied and op. modified, 409 F.3d 653 (5th Cir. 2005); and Pirraglia v. Novell, Inc., 339 F.3d 1182 (10th Cir. 2003) (reversing dismissal of securities fraud complaint, focused on scienter). Suzi’s prior appellate work was with the California Appellate Project (“CAP”), where she prepared appeals and petitions for writs of habeas corpus on behalf of individuals sentenced to death, as well as supervising private attorneys in their preparation of appeals and habeas corpus petitions. At CAP, and subsequently in private practice, Suzi litigated and consulted on death penalty direct and collateral appeals for ten years. She was previously associated with Bronson, Bronson & McKinnon, where she litigated professional malpractice and product liability cases on behalf of attorneys, doctors, and automobile manufacturers, including defense verdicts in two jury trials. At the request of the Ninth Circuit, Suzi chairs the Court’s Advisory Rules Committee. She is also the Ninth Circuit’s Pro Bono Program District Coordinator for Northern California and Hawaii. In 2009, Suzi was selected to a three-year term as an appellate delegate to the Ninth Circuit Judicial Conference, during which she chaired an appellate practice clinic for Ninth Circuit practitioners, as well as several other ongoing programs designed to improve administration of justice at the Court. Suzi is a Past President of the Federal Bar Association, Northern California Chapter, as well as a member of the Appellate Practice Section of the Bar Association of San Francisco. Suzi has been named a Super Lawyer for the past four consecutive years. She was elected to both the American Academy of Appellate Lawyers and the California Academy of Appellate Lawyers. Suzi graduated with honors from Stanford University with a Bachelor of Arts degree and from the University of California, Los Angeles with a Juris Doctor degree.